Sustainability has become a buzzword in today’s socially conscious business world. As our breathing becomes more stifled with the increased toxins in the environment and we learn to come to terms with the detrimental effects of massive industrial growth and mass production; businesses have also had to review their mandates and include ‘sustainability’ ‘environment-friendly’ and ‘socially-responsible’ as key corporate values. Sustainable development is development that meets the needs of the present, without compromising the ability of future generations to meet their own needs. The Sustainable Development Goals (2015-2030) give a universal framework for organisations to align their work with social goals and create systems and evaluations based on successful outcomes that ensure success is not made at the cost of natural resources or adverse affects to the communities both locally and globally. According to The United Nations Sustainable Development Goals: A Why, When and How Guide for Business (28 pages, PDF), businesses that align their core values with the SDGs are more likely to build trust, retain top talent, adapt successfully to policy changes, strengthen their value chains, and unlock new global markets than companies that do not. Businesses that are early SDG adopters also are more likely to be rewarded with improved reputations, future-proofed supply chains, and more robust growth, the report argues. The report outlines a number of steps designed to help startups and large businesses craft an SDG approach that aligns with their priorities, engage internal and external stakeholders, set actionable time-bound goals, and incorporate their efforts into non-financial reporting. 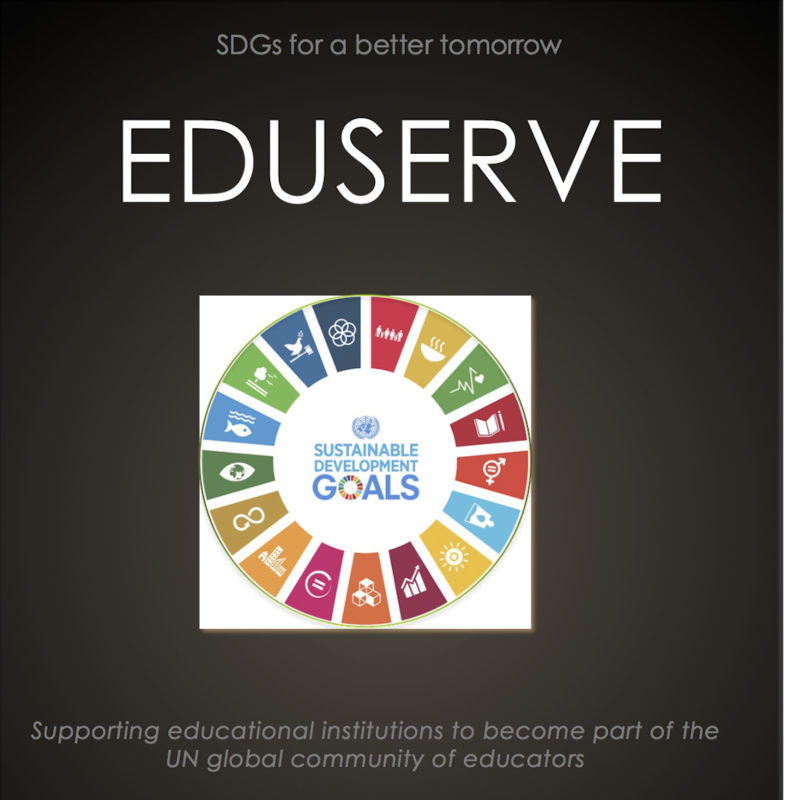 EDUSERVE is a private consultancy service providing support to social enterprises, educational institutions and corporations in integrating the SDGs in their core objectives and development strategy. For details contact shaistakhan@eduservecommunity.org. “New Report From Silicon Valley Community Foundation Helps Companies Align With the U.N.’s Sustainable Development Goals.” Silicon Valley Community Foundation Press Release 12/06/2017. “The United Nations Sustainable Development Goals: A Why, When and How Guide for Business.” Silicon Valley Community Foundation Report 12/06/2017. Persons with disabilities are among the most marginalised groups in any society. Many face daily discrimination in the form of negative or even hostile attitudes and are often excluded from their fundamental human rights by poor policy choices and lack of specialised services and support. For children with disabilities, this exclusion can include the denial of the basic right to a quality education.